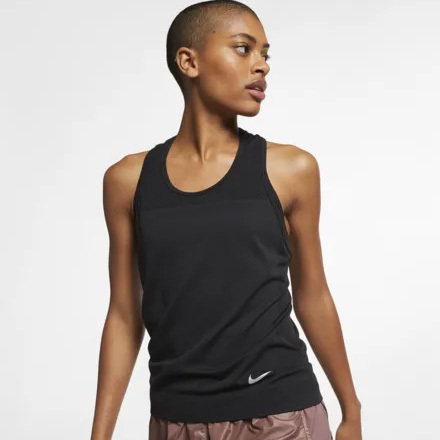 Wrap yourself in smooth comfort with the Nike Running Tank. The nearly seamless modern design hugs your body. Sweat-wicking fabric helps keep you cool as you tick off your miles.